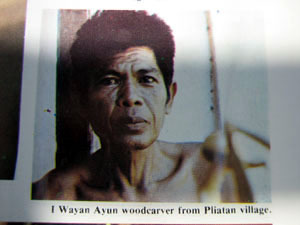 Woodcarver who specialised in animals. When the secretary of the famous Pita Maha group retired she was given a farewell present. 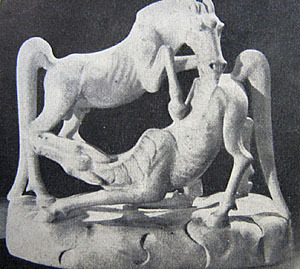 This present was a beautiful carving of 2 horses done by I Wayan Ayun.